As the Marvel Cinematic Universe enters into its slate of Phase 3 films, all eyes are cast on the impending outcome of Captain America: Civil War and its inevitable fallout in the MCU after Captain America and Iron Man go to "war" (with their supporters in tow). Ahead of the film's U.S. theatrical release next week, positive critic reviews have been readily rolling in, thus setting the stage for Civil War to be an MCU event to rival the last Avengers film, Avengers: Age of Ultron. With the likes of Spider-Man (Tom Holland) and Black Panther (Chadwick Boseman) making their big screen debuts in the Russo Brothers-helmed sequel to their 2014 Marvel Studios film Captain America: The Winter Soldier, anticipation for the new MCU movie couldn't be any higher. Riding that wave, the latest bit of viral marketing released on the behalf of Marvel Studios further sets the stage for the battle soon to come at the highest of costs. In the footage featured above, fictional MCU network anchors Christine Everhart (Leslie Bibb) and Will Adams (Al Madrigal) of WHiH News pose the question to their viewers of whether or not the high costs of destruction brought about by the direct actions of the Avengers are worth the effort undertaken to save the world. Predictably, opinions are split when it comes to paying for the structural devastation brought about by Steve Rogers (Chris Evans) and Tony Stark (Robert Downey Jr.), with some citizens more willing to support the ideals upheld by their heroes while others lambast the same wanton excesses. The entire clip is in keeping with the willingness on the part of Marvel Studios to poke fun at some of the more vocal complaints frequently raised against the action-centric nature of the MCU, and the entire superhero film genre by default. 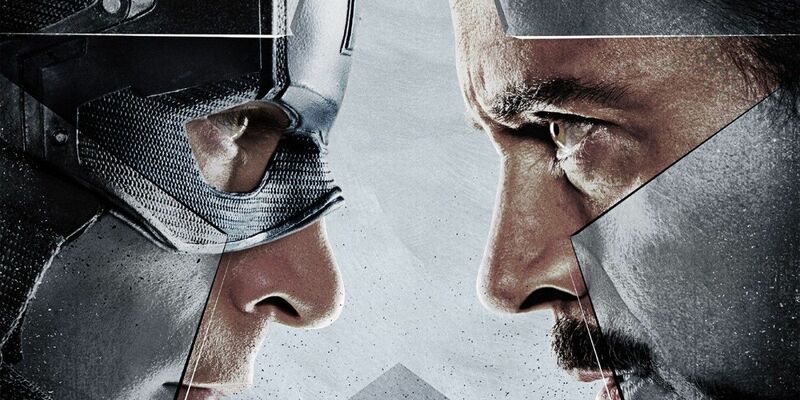 At the same time, in incorporating the real world dialogue regarding the ridiculous levels of structural damage inflicted on various metropolitan settings, Captain America: Civil War sets itself apart through a coy flirtation in engaging the discussion. Just how many lives and buildings will be hypothetically lost and demolished in Captain America: Civil War remains to be seen, though judging by this latest viral video from the world of the MCU the issue is not likely to go anywhere anytime soon. Until the film finally sees theatrical release, viewers can begin studying past destruction sequences from any one of the preceding films in the franchise, and begin speculating as to what the actual cost of saving the world might be this time.